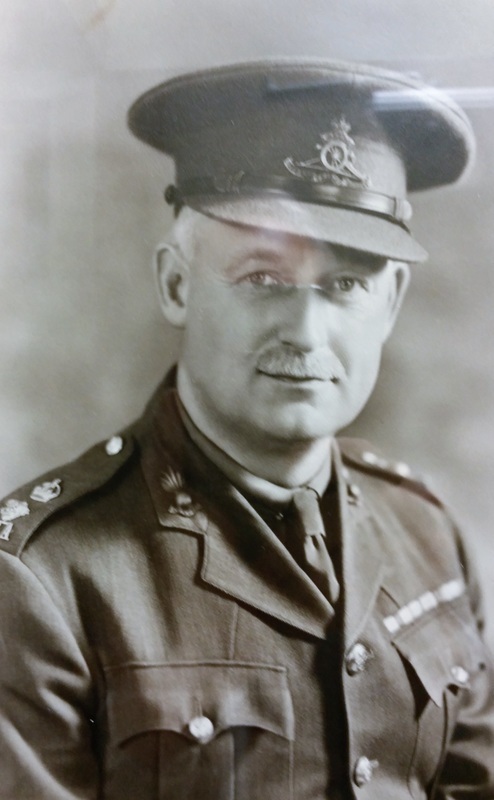 Lieutenant-Colonel William Allen Townsley, MC was appointed Commanding Officer of 15th Brigade, Canadian Field Artillery. 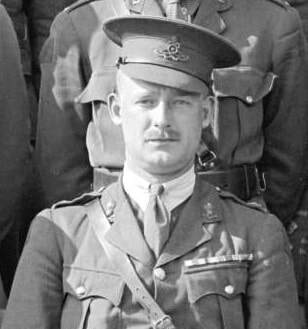 He was born in Foggathorpe, Yorkshire, England on 31 December 1983 and arrived in Canada on 27 April 1909 disembarking in Halifax Nova Scotia Lt Col Townsley had served with 27th Battery, Canadian Field Artillery in 1917 when awarded the Military Cross, “For conspicuous gallantry and devotion to duty. He used a captured enemy gun with great success. He moved it up from one position to another for sniping purposes. 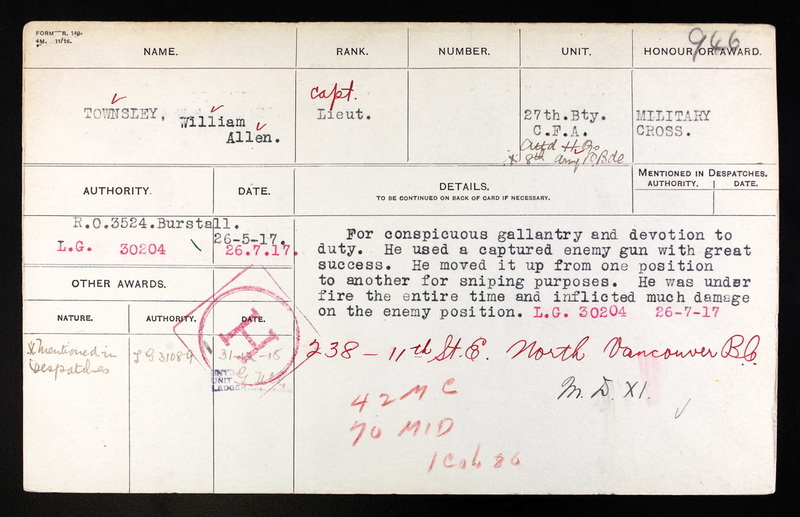 He was under fire the entire time and inflicted much damage on the enemy position.” He also served as Adjutant with 8 Brigade Canadian Field Artillery from 5 September 1918 to 27 March 1919. 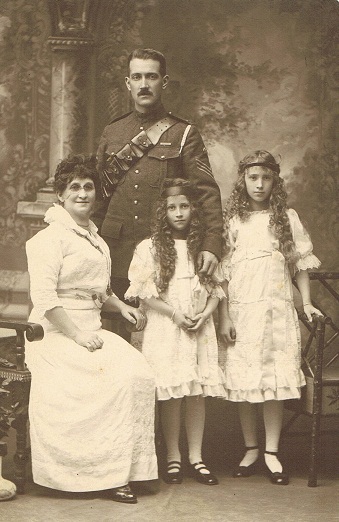 He served in France and Belgium from 16 September 1915 to 8 October 1916 and from 18 January 1917 until 2 March 1919. 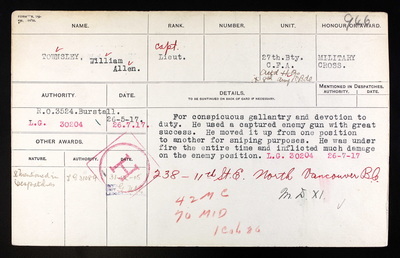 He had been Mentioned in Despatches posted in the London Gazette on 31 December 1918. He has been awarded the 1914-1915 Star, the British War Medal, the Victory Medal and the Military Cross. He was married to Elizabeth Lilian McNair on 10 December 1919. THE FEILDING MOUNTED RIFLES, known as C Squadron of No. 3 Battalion Wellington (Manawatu) Mounted Rifle Volunteers, was founded in the year 1901, and has its head-quarters in Feilding. The corps has always been a popular body, has kept a full membership, and is a strong and well-drilled force. It possesses some first-class marksmen, and has won many prizes and trophies. Captain Sverre Sorenson is the commanding officer, and Lieutenant B. N. Sandilands is secretary of the corps. 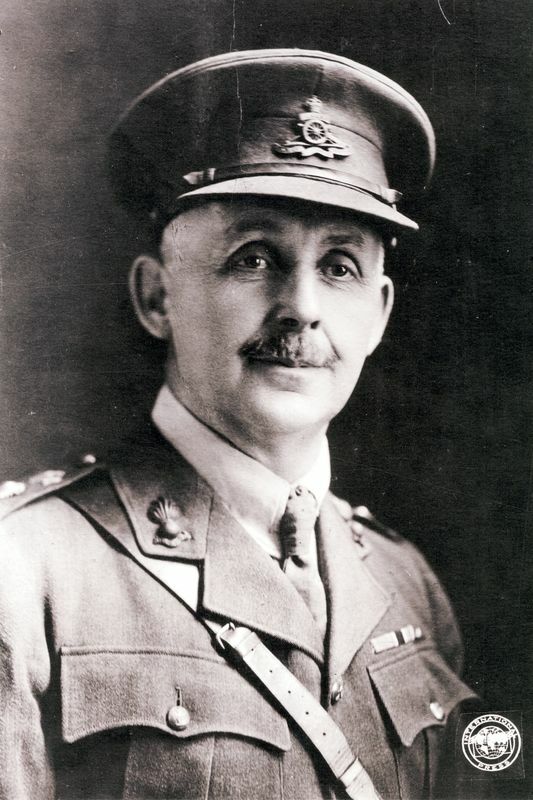 CAPTAIN SVERRE SORENSON, Commander of the Feilding Mounted Rifles, has been connected with volunteering since 1896. 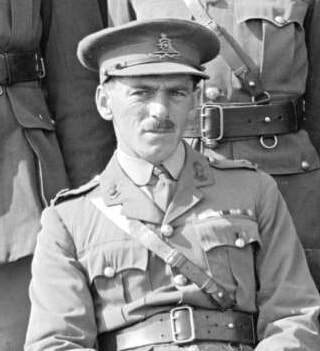 For nine years he was a member of the Manawatu Mounted Rifles, and in May, 1905, accepted the captaincy of his present corps. Mr. Sorenson was born in the year 1877, in Christiania, Norway, where he was educated at the Aas and Voss Colleges, and then went to sea in the merchant service. In 1893 he left his ship in New Zealand, and after spending some time with an uncle in farming, took up land on his own account and farmed successively at Palmerston North, Kiwitea, and Aorangi. 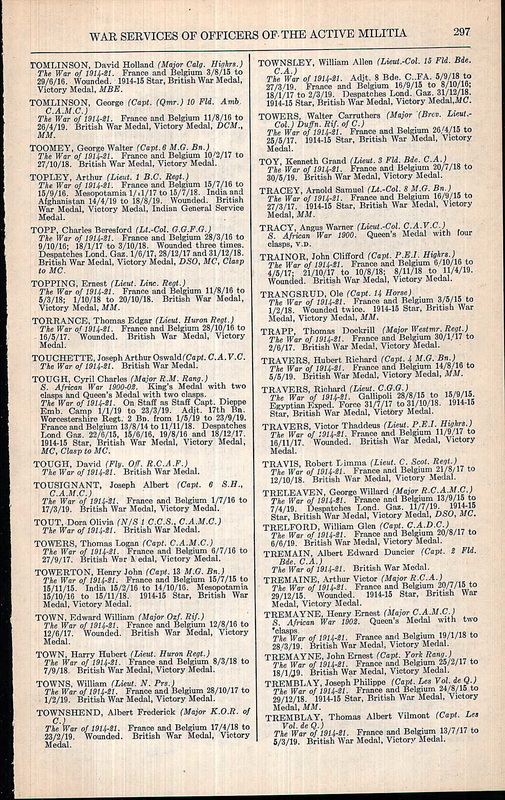 In July, 1907. he joined the firm of Messrs. Young and Company, of Wellington and Feilding, as a partner, and has since devoted his time to the land agency business. Mr. Sorenson is a member of the Agricultural and Pastoral Association, the Farmers' Union, the Rangitikei Club, and the local lodge of Freemasons. He married Miss McCurdy, of Wellington, and has two children. 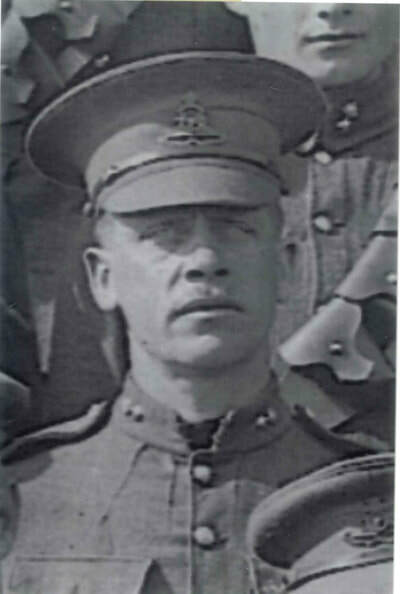 ​ Warrant Officer Class 1 Sorenson was attested into the 68th Depot Battery on 21 February 1916 and served with the Siege and Heavy Artillery as Quarter Master Sergeant before transferring over to the 3rd Section 4th Division Ammunition Column as Battery Sergeant Major on 10 August 1916. 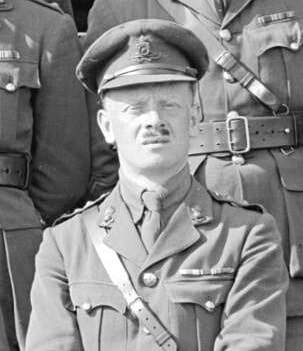 He was promoted to the rank of Warrant officer 1 and appointed Acting Regimental Sergeant Major of the 4th Division Ammunition Column on 29 October 1917. 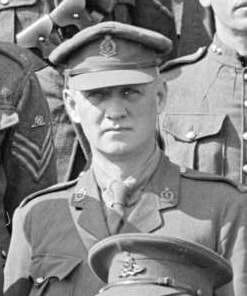 He was awarded the Military Cross on 3 June 1919 and discharged from the Canadian Expeditionary Force on 27 June 1919. James Theodore Underhill, one of the members of the Vancouver Overseas Artillery Association from 1919 penned a letter to Mr. John Still in Ceylon regarding the events of Gallipoli. Vancouver BC, December 1 1924. John Still Esq, Kandy Ceylon. A friend of mine has just sent me a clipping from The Times, which is a letter of yours dealing with the movements of our old Battalion after the landing at Suvla Bay. I am very glad to see that it has been made public as it bears out a written report I gave to Major Cooper (Second in Command) of our doings and positions, particularly on August 8. 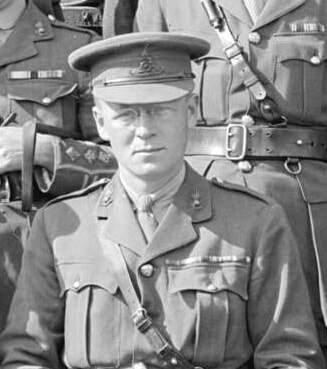 Major Cooper asked me for it at the time of the inquire into the failure at Suvla Bay, as our Divisional Commander, general Hamersley, was one of those sent home. Being a qualified land surveyor, and experienced in the use and construction of maps and the knowledge of the country, I was well able to keep notes of our positions and was the officer mentioned in your letter who took the patrol up Tekke Tepe. In fact I still have your signal corporal’s field glasses which I took from him while on the hill, my own being smashed by a rifle bullet whilst using them on this patrol. My report disagrees with your letter in a few minor details – for instance while on Scimitar Hill, the 9th West Yorks were on our left, as I was actually speaking with their officers on their own right flank, but they were withdrawn before us, God knows why. Again, while you say Tekke Tepe was not occupied, it was held very lightly by patrols. We ran into two of them before reaching the top; out of one we bagged two Turks, the other escaped us. There were also three short lengths of partially dug trenches unoccupied while we were there, but showing signs of most recent occupation. Further, you say that the Turks came in behind D Company and the rest of the battalion fought in the trench. This not quite right. We had advance fully 1500 yards (and I was with the rear company “B”) before we encountered the Turks. When we did, it was a ‘free for all’ bayonet affair, with the Turks outnumbering us about three to one. 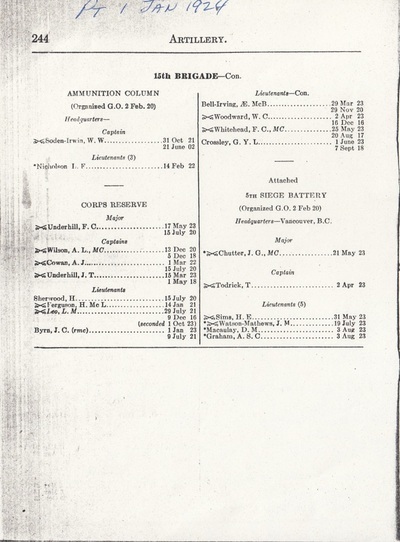 I saw nothing of the West Yorks as you mention, but he West Ridings who were to have supported the Brigade !!! attack were present. However, may report and your letter agree in the great fundamental pint, this, that Tekke Tepe should have been taken on the evening of August 8. That this could and would have been done had there not been a lamentable failure of the Staff I think goes unquestioned by those of us who had an accurate knowledge of the conditions; it was the loss of the Gallipoli campaign. I am even of the opinion that, that the Staff work not been so rotten, and that the attack in the early morning of August 9 been by three battalions instead of us alone, it might have been successful. 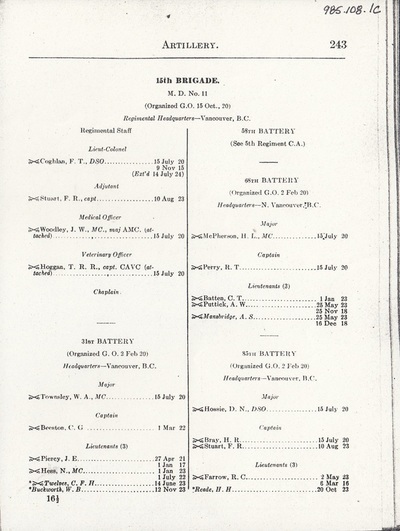 If you remember, the attack was to have been a brigade affair, three battalions in attack with one in support. The supports (the West Ridings) were there, but where the other two battalions were, God alone knows. I think all of K.’s Army who took part in this landing and the following few days felt it intensely that they were blamed by the Staff for the failure on the grounds of being green troops. Compared with later experiences in France, the 11th and 10th Division fought as well as any troops ever did be they Regulars or otherwise, and I am sure that those of us who had the honour to belong to either the 11th or 10th Divisions feel grateful to you for coming out plainly and placing the blame where it so justly belongs. 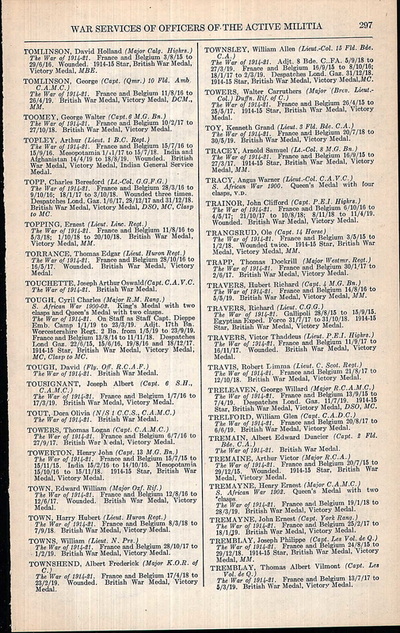 UNDERHILL, JAMES THEODORE, 2Lt 6th (Service) Bn East Yorkshire Regiment (Pioneers), Lt 12th (Service) Battalion Kings Own Yorkshire Light Infantry (Miners) (Pioneers), Capt 245 Siege Battery, RGA. Born Mosely England 1892, died Vancouver 1976. UNDERHILL & UNDERHILL – founded by J.T. Underhill and his brother Frederick Clare Underhill in who also served as an officer in the Canadian Siege Artillery. It is still a going concern, known now as Underhill Geomatics Limited. I believe this to be a misspelling – likely COWPER M.G. 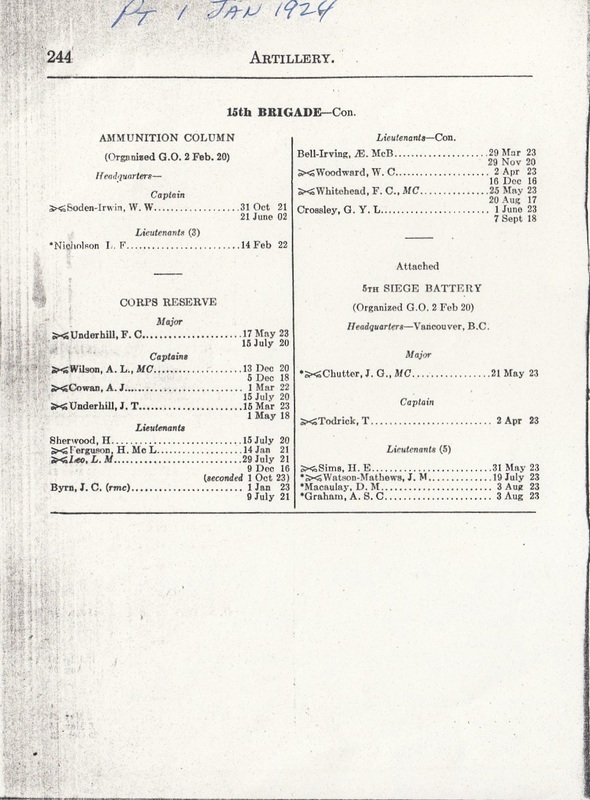 as noted in Monthly Army List 1915, column 1046. 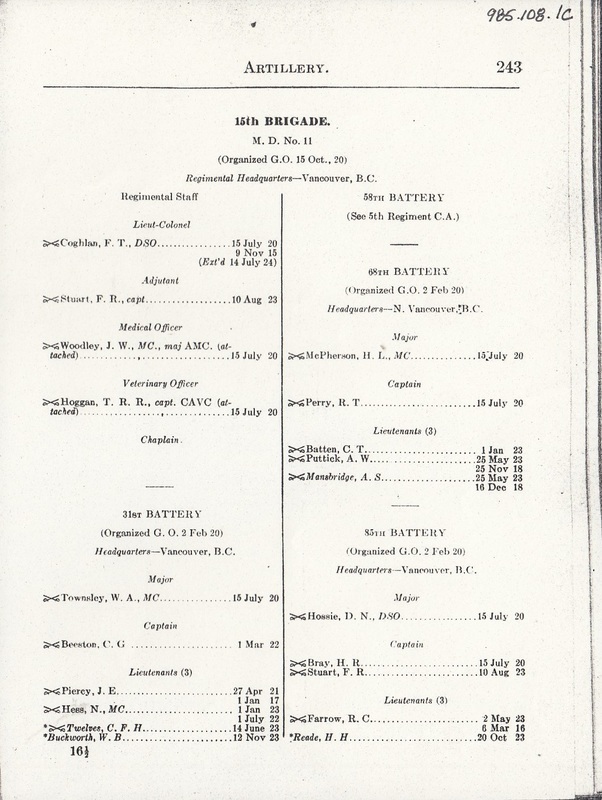 Kitchener’s Army (Service Battalions of the Regular and Territorial Force regiments). He may be referring to his later personal experience with 12th KOYLI at Serre, or may be referring the general experience of the service battalions later in the war.